With every message you post on your profile pages, you build an image and vision for your company. 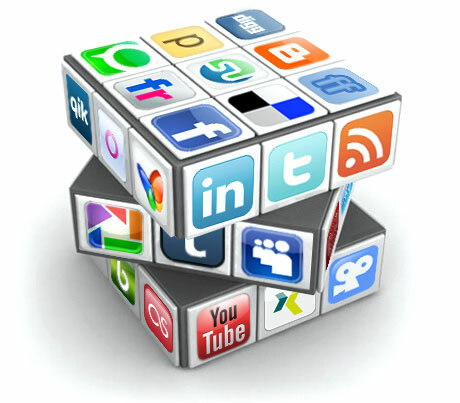 Plan your social media content carefully so it consistently carries the same tone and message. Also, make sure that the design and information provided in your SM profiles is consistent with your website. 7. Because your employees are already there! And they would be happy to share your content! I recently attended a great session with Stan Magniant during Webit conference, discussing the reasons why companies need to go digital & social. One of the highlights of his session was that your employees are the best social media advocates of your company. You will be surprised how many of them will be eager to share your company updates and news from their personal social media profiles. But first, of course, you need to create content they would be happy to share. When you have a social media presence for your company, you are likely to reach potential employees who are savvy in social networking. Spread the word on your job openings via social media, invite your employees to share the posts and you might get a good pool of candidates for your open positions. Posting only content related to your products/services is considered pure advertising and might turn away your fans and followers. That’s why you also need to post other valuable content that’s related to your industry and is coming from different sources. By mentioning these sources (make sure to tag them in your posts, so they become aware of the mention) you have a good chance to grab their attention. Eventually, you can get in touch and find ways to work together! Strategic use of social media channels will help your business rank better with the search engines. Put enough effort into shaping the “About” section on your social media channels and include in it at least 2-3 business-related keywords that your target customers might use to find your products/services. It is also crucial to build authority by regularly interacting with your fans and followers and creating sharable/likable content. The major search engines take this authority into consideration when determining your SEO ranking.